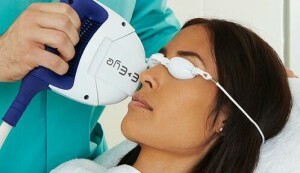 The Eyecenter is the first private clinic in Belgium to offer a treatment and solution for dry eyes. A unique concept to treat your dry eye condition. Dry eye disease (DED) is a problem for about 1.8 million Belgians. Needless to say we treat it very seriously. We give you an overview of the Eyecenter’s diagnostic and therapeutic options. What is our tear film made of? The aqueous layer is produced by the lacrimal gland, the mucus layer by the Goblet cells and the fatty (lipid) layer by 80 Meibomian glands located in the cartilage of the eyelid. The composition of the tear film changes, which gives rise to a range of complaints. The production rate of the aqueous layer may decrease or the lipid layer may be reduced. The patient experiences a gritty feeling in the eye, often producing reflex tears. Often this is combined with red irritated eyelid edges and crusts at the base of the eyelashes (Meibomian gland dysfunction – MGD). The patient may complain about itches at the edge of the eyelids or itchy eyes. With MGD, the tears contain not enough lipids, which causes the tear film to evaporate too quickly. Someone with dry eyes often has red eyes from conjunctival irritation. As one grows older, the quality of the tear film deteriorates. The lacrimal gland also starts producing fewer tears. In women this is connected to lower estrogen levels in the menopause. However, this problem may be hastened by certain conditions such as rheumatism, intake of antidepressants and suchlike. 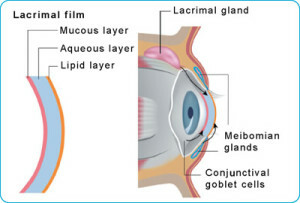 Many patients develop blefaritis (eyelid edge inflammation) due to reduced function of the Meibomian glands in the eyelid. This reduces tear film quality leading to dry eyes. 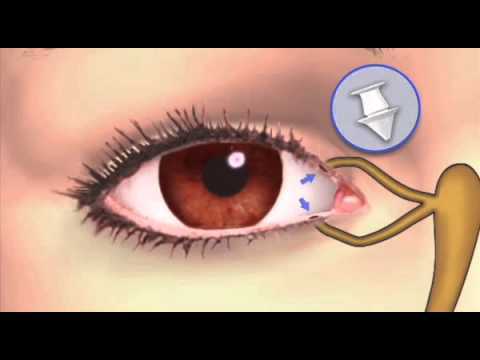 Dry eyes can also be the result of surgery on the cornea or the conjunctiva. Wearing soft contact lenses for prolonged periods often leads to a dry eye with redness of the conjunctiva in the evenings. 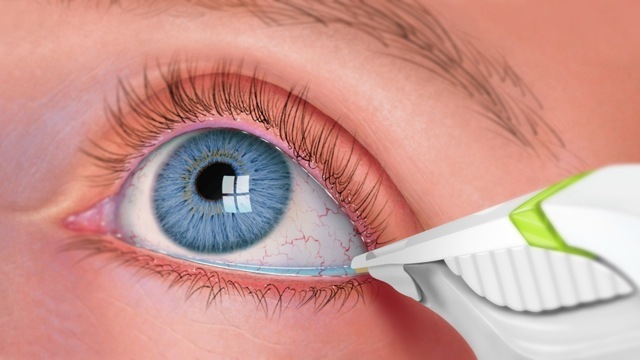 The tear film is inspected with a dye called fluorescein (tear break-up time). 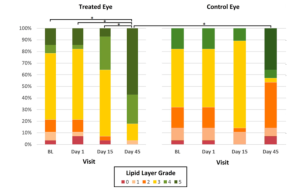 Conjunctival inflammation is examined by means of a (Lissamine test). The tear production is checked (Schirmer test). The quality of the tear film is checked by performing a Tear Lab test (which determines the osmolarity of the tears). A too high osmolarity (> 308 mOsms/L) leads to an inflammatory cascade which causes the epithelial cell to produce more cytokines. This level is measured with the Inflammadry test. In a slit lamp examination, the ophthalmologist determines whether there is Meibomian gland dysfunction. We can provide the patient with artificial tears or eye drops. 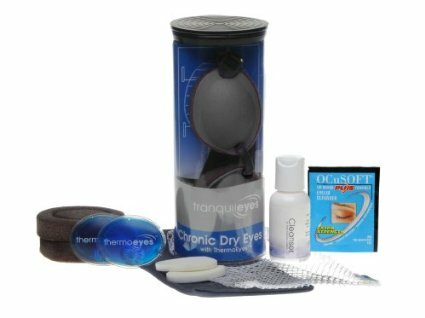 The composition of these eye drops depends on the diagnosis of each type of dry eye. In the case of insufficient tear production, the tear duct of the eye lid can be temporarily or permanently occluded by inserting a silicone punctal plug. This way the tears will remain in longer contact with the eye. This treatment is reversible. In the case of Meibomian gland fysfunction, the doctor will propose a treatment with warm compresses and a cleaning of the eyelid edges. Sometimes this is combined with antibiotic ointment on the eyelid edges or even an antibiotics course of treatment. A next step is Thermoeyes or Eyecopad, which requires the patient to apply warm pads to the eyelids for twenty-odd minutes. 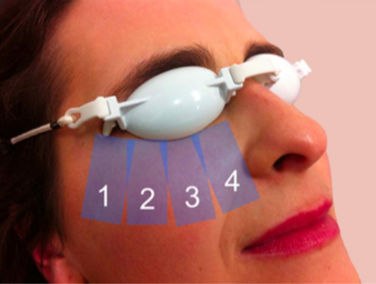 This allows the Meibomian glands to better shed their sebum onto the eyelid edge. 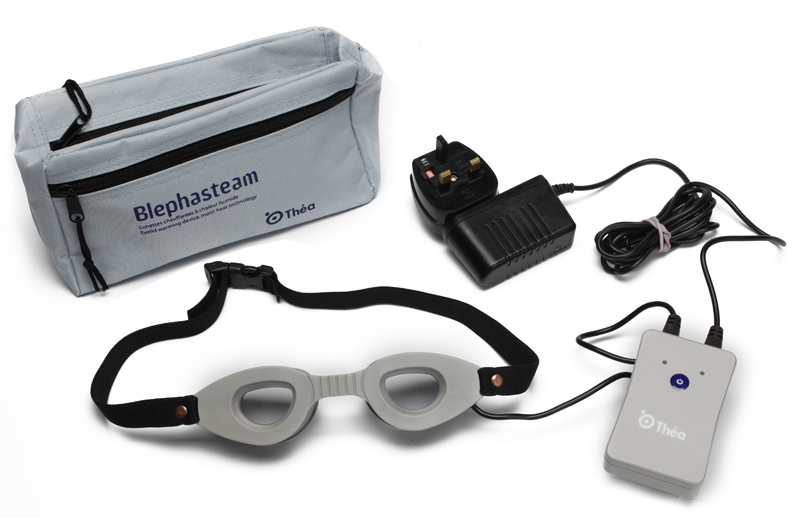 Blephasteam is a device that spreads steam around the eye behind protective goggles. The Meibomian glands warm up and secrete more easily, as the secretions become more liquid. 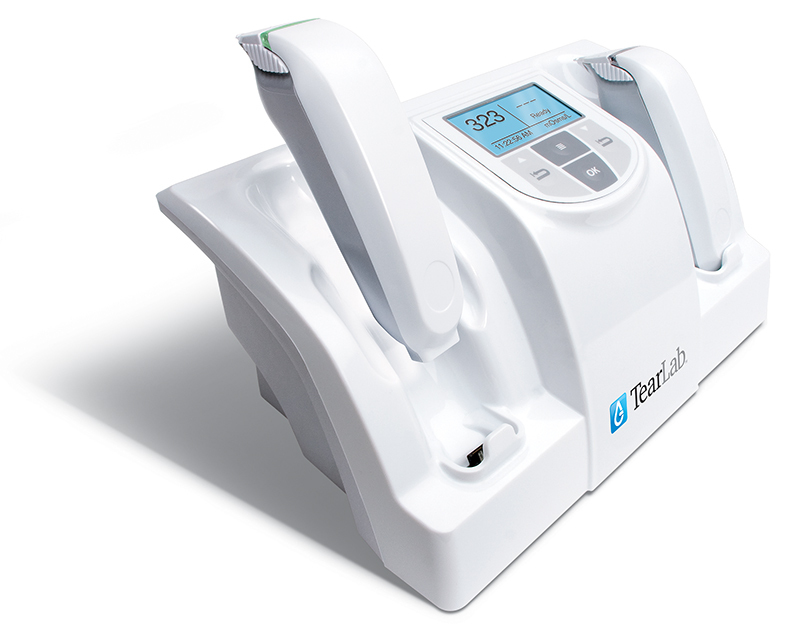 The IPL flash light is applied in four locations. 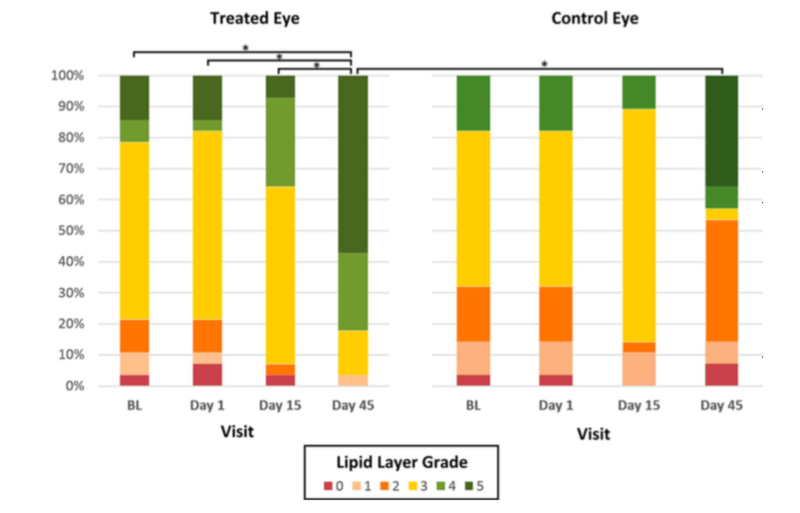 After 45 days, tears in the treated eye will show a significant increase in lipid levels. The Meibomian glands resume their normal production. All of the following MGD-related symptoms will reduce noticeably: dry eyes, foreign body sensation, too much mucus, secretions, itchy eyes, burning eyes, red eyes, tearing eyes, excessive blinking and difficulty opening the eyes. If you should have any more questions about dry eyes, please contact one of our optometrists or eye doctors. We are happy to help you.